Dr. Onika Quinn-Munroe earned her Doctor of Dental Medicine degree from Rutgers School of Dental Medicine in NJ. She received her undergraduate degree with a major in Biology and a minor in Chemistry at Manhattan College in Riverdale, NY. 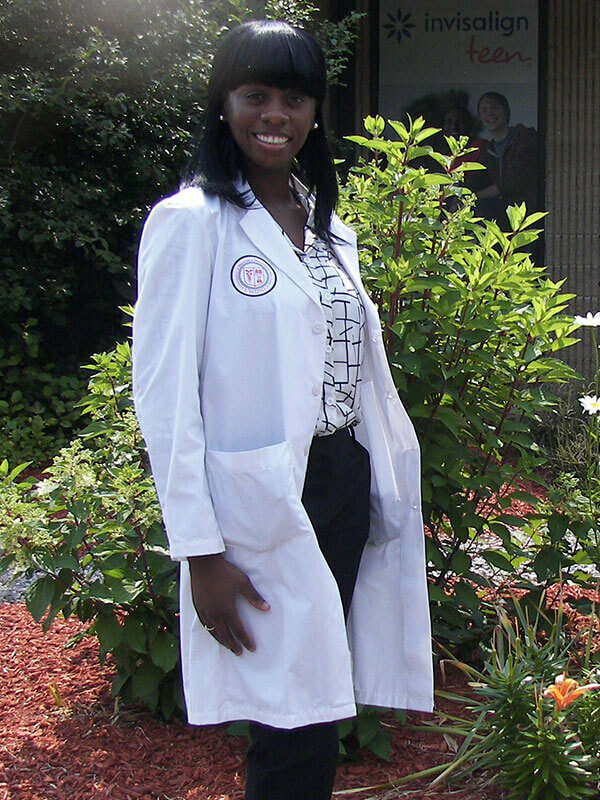 Dr. Munroe completed her General Practice Residency and BLS certification from Overlook Hospital in Summit, NJ. During her residency, Dr. Munroe received advanced training in all phases of dentistry including orthodontics, endodontics, oral surgery, laser dentistry, cosmetic dentistry and dental emergency management. She has had extensive Invisalign training. Additionally, Dr. Munroe continues her education with the CE courses in advanced endodontics and implant restoration. Dr. Munroe is a member of the American Dental Association. As a native of CT, Dr. Munroe is excited to return to provide quality dental treatment for all of her patients.